I hope you are all having a great weekend. Mine is almost over and due to a back ache today was not very productive. I don't know where it comes and hoping that it will go away soon. It was a nice and sunny day and we took an extensive walk outside at the park. It is still rather cold though so I am not feeling the Spring Collections but today I have something that I would wear all year around and it is purple! Dior Spring Collection hit the counters in Germany around a week ago. After playing with the products briefly, I fell in love with both of the Diorshow Fusion Monos. I like the formula since they are released in Fall 2013. I think they usually have better color pay-off than most of Chanel Illusion D'Ombres. Today I would like to share my thoughts about Diorshow Fusion Mono #871 Olympe, a wearable purple with multi colored super pretty shimmer. 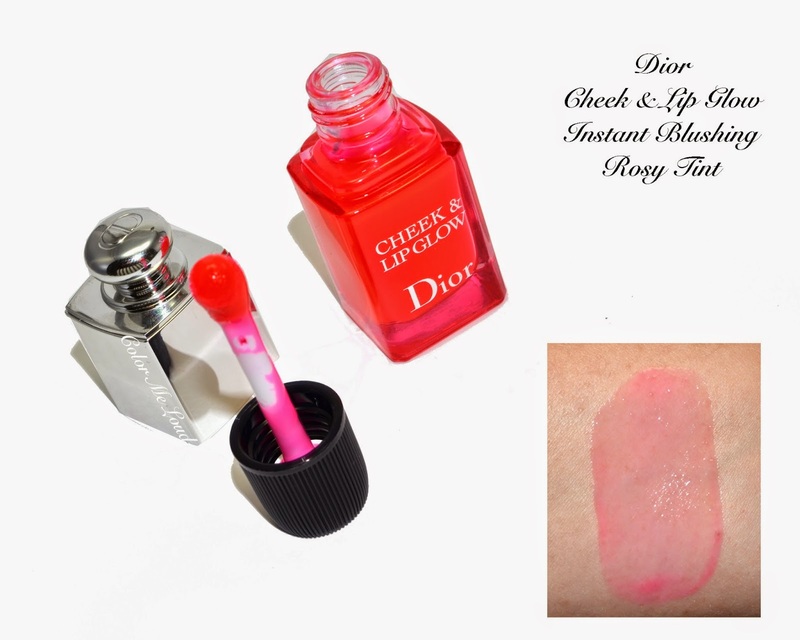 I also try to formulate what I feel about Dior Cheek & Lip Glow Instant Blushing Rosy Tint after using it for a few weeks. The moment I have swatched Diorshow Fusion Mono #871 Olympe, I sighed happily. Olympe is not too red, nor too bright. 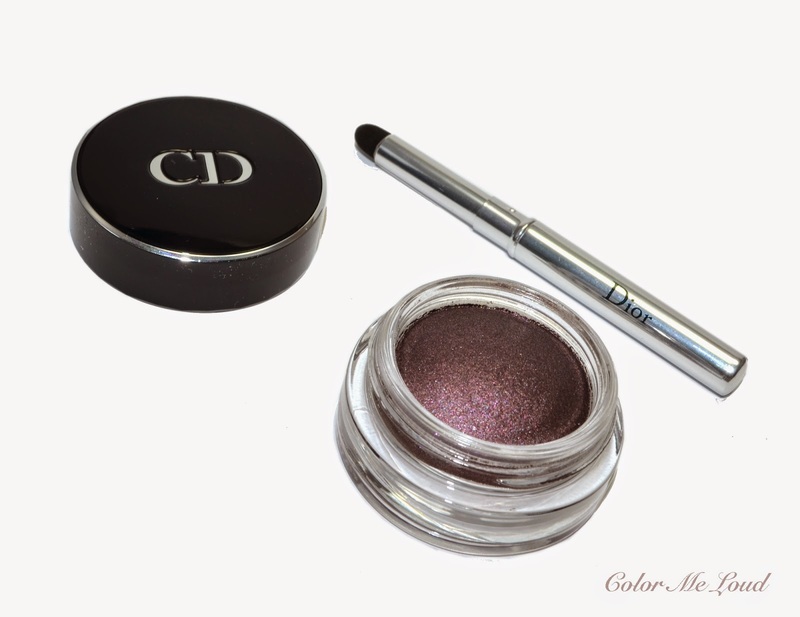 The base color is very wearable and on it there is the most beautiful multi colored shimmer, which is hard to capture with camera. It is close to the shimmer of Diorshow Mono in Fairy Grey from the same collection, but a little subdued. I have posted a few photos at Instagram and there were questions about how Olympe compared to Chanel Illusion d'Ombre #83 Illusoire and #92 Diapason. As you can see below Diapason is much redder/pinker. Chanel Illusoire is more silver and cooler. 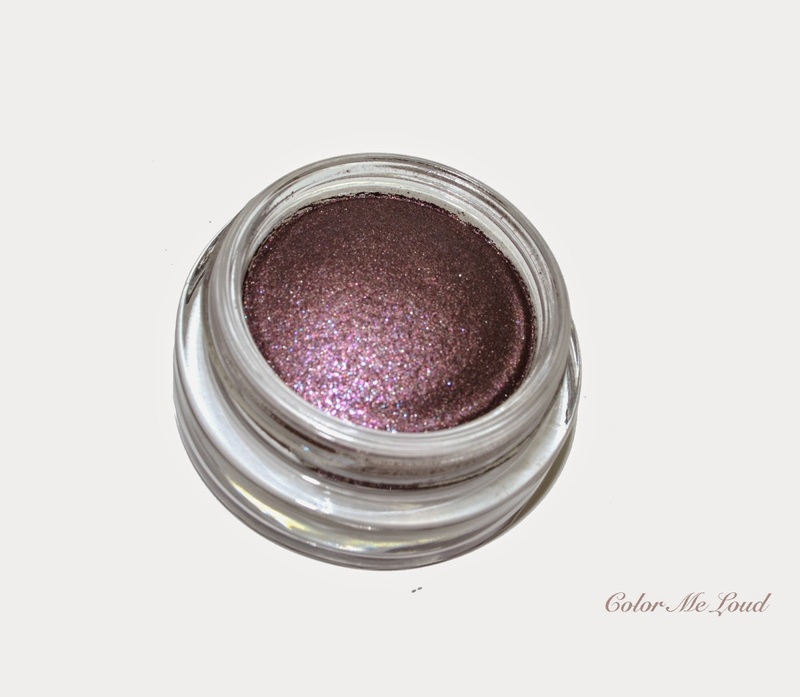 I have also added a vivid purple, MAC Electric Cool Eye Shadow in Highly Charged for you to see how subtle and pretty Olympe is. 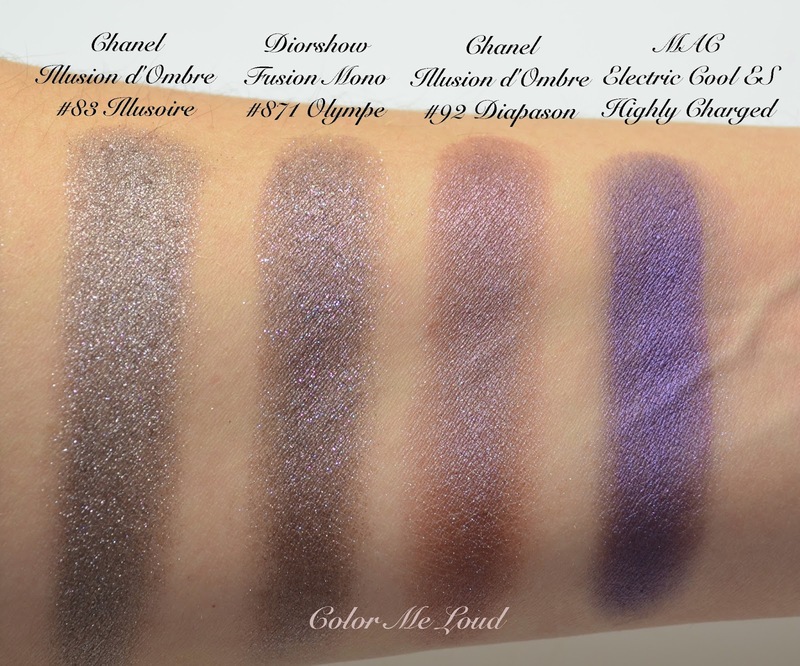 I hope you can see from the swatches below that none of the shadows have the multi-dimensional shimmer of Olympe. Aah it is so pretty! Dries too fast and leaves marks where it is first applied, one has to work very quickly. I found that the best way to apply it is to put a generous amount of the cheeks but not as dots because then they dry and look patchy. It is better to run the applicator generously over your cheek or put it on your hand and then blend it on your cheeks with circular motions. I use my fingers but probably a brush would also blend it well. It is better to go slowly since once you do a mistake, it is hard to fix. Here is another Dior Spring 2015 Kingdom of Colors face of mine. I am wearing Diorshow Fusion Mono #871 Olympe on the eyes, Dior Cheek & Lip Glow Instant Blushing Rosy Tint on the cheeks and Dior Rouge Baume #678 Gala on the lips. 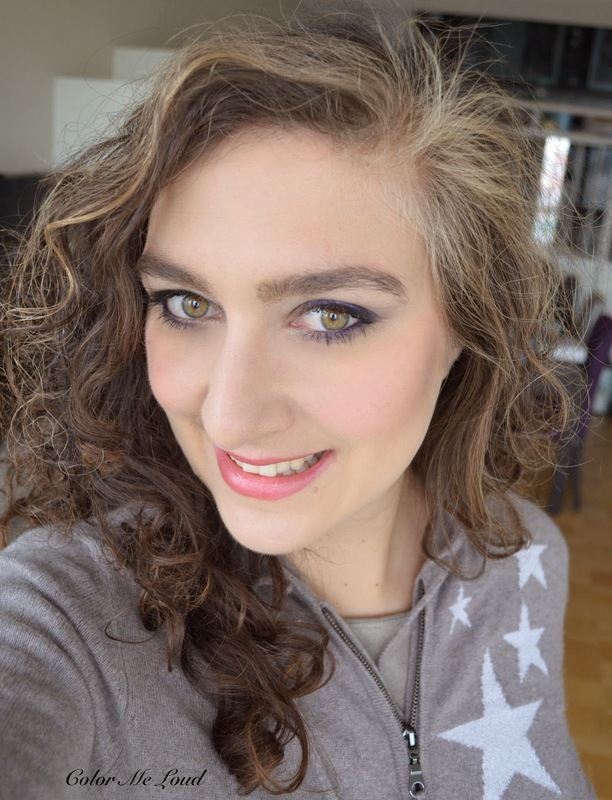 I am loving that lipstick and really recommend you checking it out. Final thoughts: All thumbs up for both of the Diorshow Fusion Monos from Dior's Spring 2015 Collection Kingdom of Colors. #871 Olympe has a great balance between shimmer, base color and it is very wearable. I have mixed thoughts about Cheek & Lip Glow but still I am wearing it every second day, meaning probably pros weight out the cons. Do you like wearing liquid blushes? Which one is your favorite? Hey Sara, stunning look as usual! Olympe looks like a must-have! I've actually never really tried a liquid blush or a cheek stain. To be honest, the stain type of products isn't really my thing. If I get to give it a go, I hope I'll be able to make it work! thanks so much Olympe is such a beauty. I am also not that stain friendly, lol, if you can call that. Some of them last very long though. I used to like Armani liquid blushes. They were also called blush fabrics and they lasted all day one me. Too bad they discontinued them. They are harder to apply though, that is for sure. 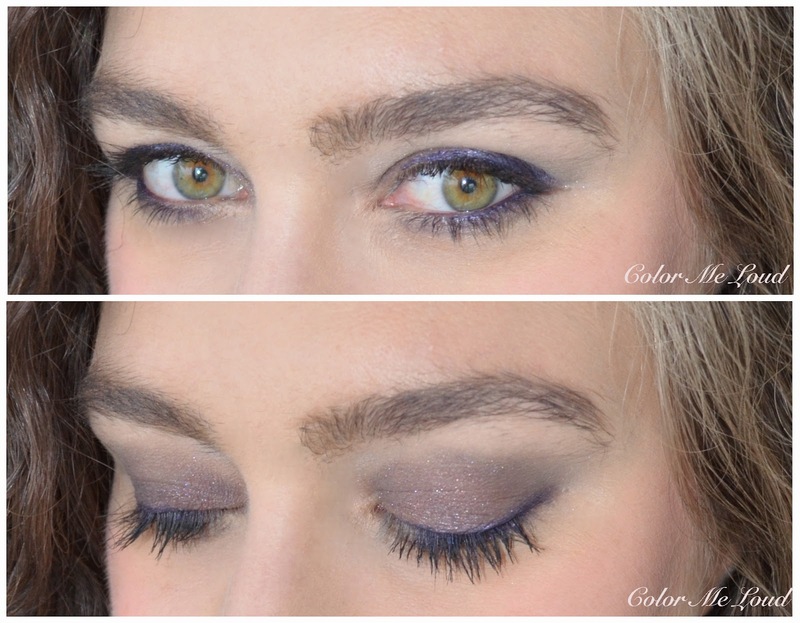 This is a beautiful look on you… I love purples! I really love Olympe, the colour looks great on you! I would really like to get it, unfortunately I can't seem to make the Diorshow Fusion Monos work, I just can't get enough colour payoff from them, they always seem really "spongy" and like i get no product on my finger. Any suggestions how I could get them to work? I think those apply best with synthetic cream eye shadow brushes. For more intensity you can apply them damp by spraying a little water or Fix+ on your brush. Fingers work with some of the shades but not all. Hi Sara, i actually really loved the look of this cheek stain on you! But it sounds like a lot of work, and frankly, i'm not a big fan of liquid cheek products. Too much work. 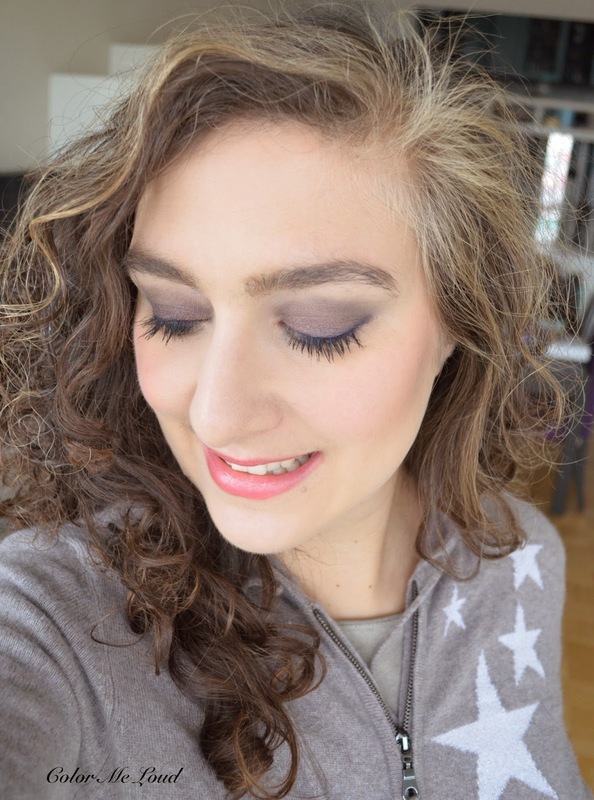 Olympe is stunning, thanks for the comparison swatches! I kept thinking it's similar to Illusoire, so i'm glad to see the side-by-side comparison. I love it sooo so much!! But i'm going to have to resist... can't buy everything!! Great comparison swatches! Love the purple eyes and pinks on you! Such a lovely purple that brings out your eyes! I've picked up Olympe on impluse, then had slight buyer's regret as I've probably got a dupe in my stash, but similar to your swatches, it's still very unique comparatively! That rosy tint... le sigh.. I know the application is a pain but still, I want! Such a nice shade of pink, too. I've been lusting over it after seeing Lily's review. I think I should just buy it so I can move on with my life. What do you think? LOL! That shadow is amazing! I also love the fusion monos, they are amazing. I don't think this shade was released in the U.S... I'll keep my eyes open for it. wow! It looks like I am going to buy my first Dior eyeshadows: Gray Fairy and Olimpe look like a match made in heaven! I goit this on sale (Olympe)... How does it stand against Hypnotique?